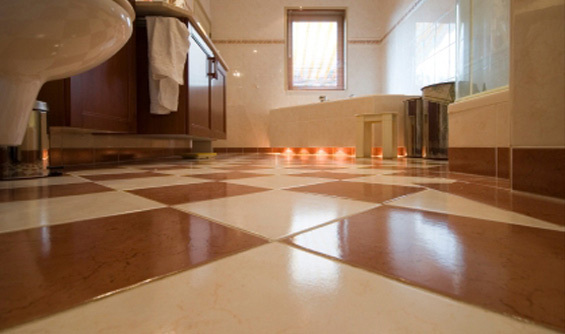 FloorHeat floor heating systems are a home improvement project you can truly build on. As you would expect from Warmzone, they are an excellent radiant heating product you can use to heat select rooms or your entire home if you choose. 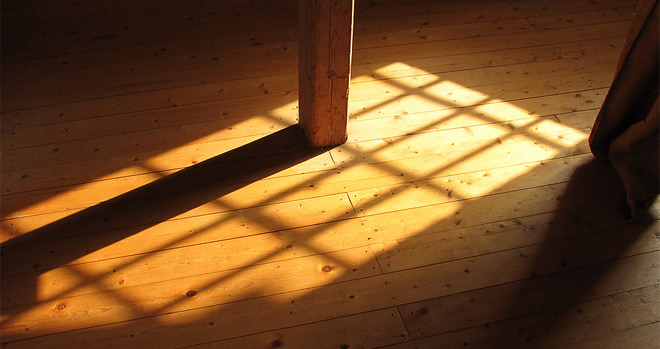 So you can tackle your radiant heating needs, a room at a time if you need to, without disrupting your home or your lifestyle—not such an easy accomplishment with many home improvement projects. 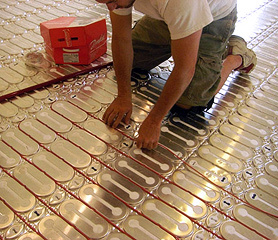 Radiant floor heating systems are a terrific way to build your equity in your home along with some cutting edge, green technology. FloorHeat floor heating systems run on sustainable energy and can be easily integrated with existing wind or solar power. 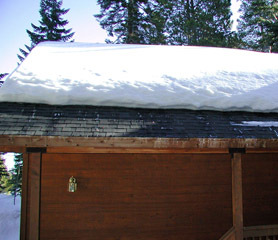 Plus radiant heat technology is equally soft on your home environment. There are no vents to clean, no dirty air circulating through your home, and no fossil fuels to burn. By nature, FloorHeat floor heating systems are clean, silent and virtually maintenance free, compared to traditional forced air systems. 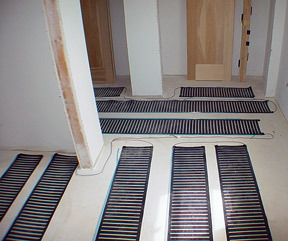 Because the heating element is self-regulating and installed directly under the floor surface, FloorHeat floor heating systems can be decidedly more efficient (up to 30 percent more) than other electric and hydronic systems, and up to 60 percent more efficient than conventional forced air systems. They’re quite conservative, only drawing the energy required to maintain your home’s ideal temperature, so they’re a very efficient choice for home heating. 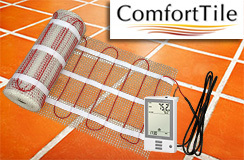 FloorHeat semi-conductive polymer heating elements can be used for a wide variety of heating applications. 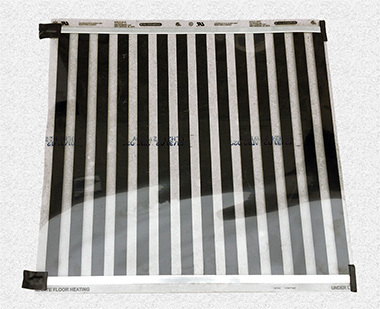 This flexible, thin heating element features an extremely low profile that does not affect floor buildup, weight loads, or flooring choices, circumstances potentially complicating your project. And it can be safely cut to size on the work site for a variety of applications, from the straightforward to oddly-sized/shaped areas. 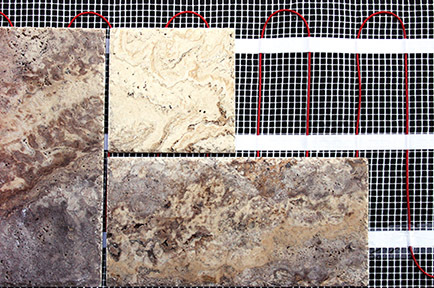 And FloorHeat heating elements can be placed directly under any non-conductive floor covering, from carpet, to ceramic tile, hardwood and slate for safe, even and efficient heat distribution. FloorHeat is a great low-voltage product that can be easily installed under existing floors by accessing the floor joists from below. Available in 9- and 12-inch widths, the polymer heating element can be stapled and nailed through for easy installation. 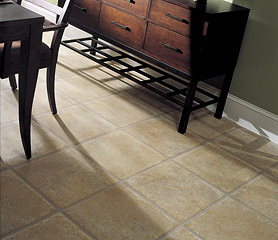 Once the layout is determined, you’re essentially a few easy steps away from radiant heated flooring in you home. Simply cut the element to appropriate length, make the electrical connections, and run the wires to the terminal board(s) and transformer. 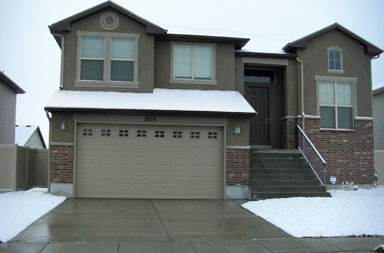 (It is important to have an electrician perform all the system wiring to ensure the warranty is valid.) 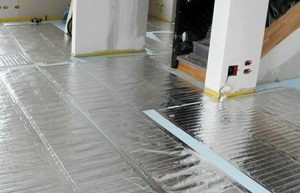 Then secure the elements to the subfloor with adhesive, staples, or pegs and cover to trade practices and then place insulation to help direct the heat efficiently upwards to the floor. 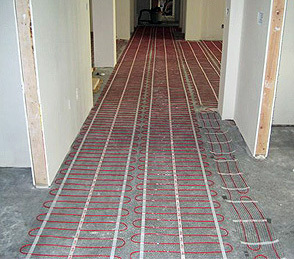 With Warmzone’s help, an ambitious do-it-yourselfer can install a FloorHeat radiant heated floor system with ease. Warmzone will provide a detailed system layout as well as expert installation support. You are never alone when you work with Warmzone. 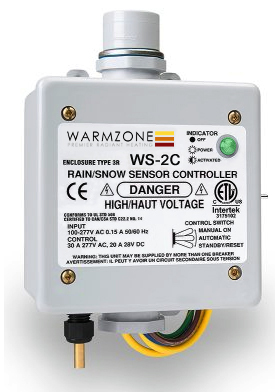 In addition to industry leading customer service, Warmzone also provides a wealth of documentation on Warmzone.com, including: manuals, technical guides, illustrations, informative articles and an extensive FAQ section. Unlike many radiant heat system providers, Warmzone provides complete, professional radiant heat services, including detailed layouts with each system, and installation support. Before you shop anywhere else, why not get expert advice from the radiant heat specialists in the business to use as a baseline? 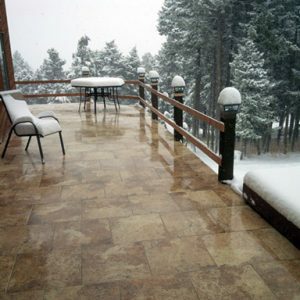 In terms of products, services, support and price, you’ll be pressed to find any radiant heat specialists as competitive as Warmzone. 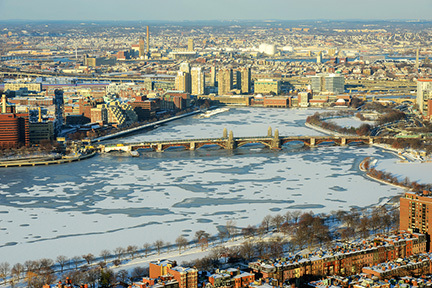 Visit www.warmzone.com or call 888.488.9276 to find out more about FloorHeat radiant heated floor systems, along with all of the other great radiant heat products Warmzone offers.